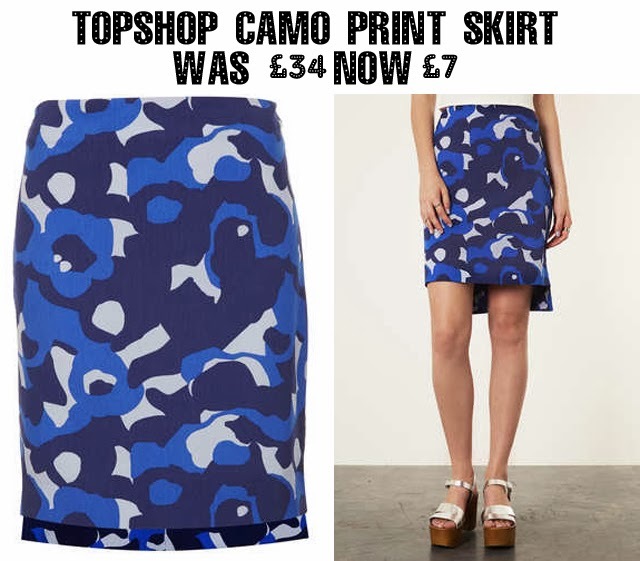 Thinking this Topshop print looks familiar? Well, this is technically not only a "searching the sales" post, it's also a "look for less." You may remember one of the most popular prints of the year in 2013 was camo. No designer made the print more fashionable than Christopher Kane with his blue camo skirts. Who didn't love that look? Paired with a sweatshirt, oversized parka and boots and you looked like someone who stepped straight out of Vogue.